Alfonso Cuaron’s Gravity is the talk of the town as of typing. 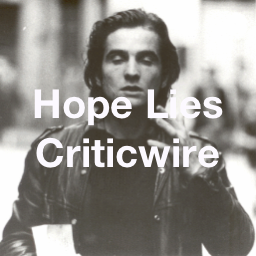 So, what better time then than now to revisit his debut feature Sólo con tu pareja. Startlingly it wasn’t until this Criterion edition of the film in 2006 that the film made it’s bow in English-speaking territories. The film remains unreleased outside of the US too. Faced with the prospect of having potential caught the HIV virus, protagonist Tomás Tomás embarks upon a suitably fraught existential crisis. For the most part the film takes place in a tower block apartment, with the taut location the ideal stand-in for protagonist Tomás Tomás’s mental state. While this may sound like the premise of an overwrought, serious drama, Cuaron subverts the expectations of the subject matter by presenting its core thesis in a style evocative of the Screwball comedy. A bold, lively colour code informs the scenario, while stylistically the film offers a fascinating glimpse of the ambitious films that would follow, with a sweeping camerawork, courtesy of Cuaron’s regular cinematographer Emmanuel Lubezki, elevating the picture. A trait adopted by Cuaron and his collaborator brother Carlos with the earlier DVD release of their later Y Tu Mama Tambien is continued here. In the early print run of that film’s Warner Bros. DVD release the pair included their extensive character biographies for the film’s protagonists, and presented them in the form of a 60-page book. The brothers Cuaron would produce such treatments for each of their key characters in the early days of their careers, with the idea being that the actors portraying said characters would develop a greater understanding of their subjects when supplied with such material. In this Criterion edition of the backstory of Sólo con tu pareja the extensive sleeve notes include a lavishly illustrated reprint of Tomás Tomás’s story, as handed to actor Daniel Giménez Cacho by Carlos Cuaron to help the actor best get to grips with his character. 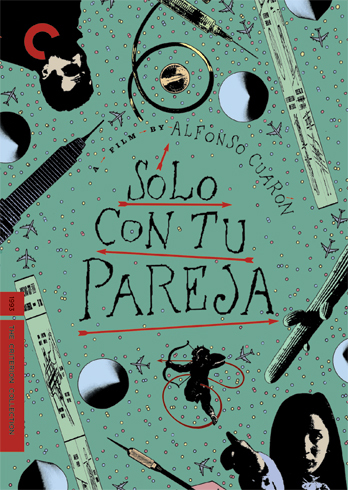 Sólo con tu pareja is the kind of relatively obscure title that Criterion are rightly celebrated for, and displays the labels ability to pick out a forgotten or unknown gem from a formidable talents past. Cuaron was hands on with the release, another Criterion trait, resulting in a lavish edition of an under-seen contemporary classic.